The Contact Popup plugin is a quick way for your visitors to email you. 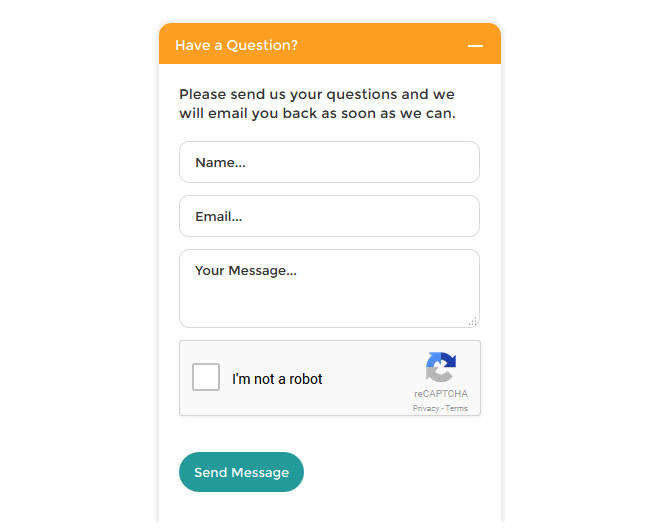 The plugin is protected by the powerful Google reCaptcha plugin and uses AJAX to error check and send the email. 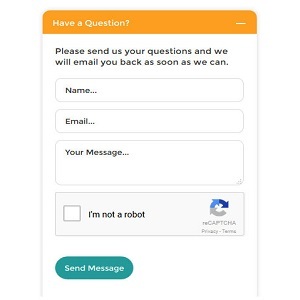 https://www.google.com/recaptcha. Be sure that your server has the mail() php function enabled or the email will not send from the plugin. The plugin is located in the bottom lower right of the website. Set the default color and hover color. Set the name, email, message and submit button text.